Welcome to the Muskoka Photography Club. Please e-mail your “Wildlife” image. to info@muskokaphotographyclub.com. When I receive the image I will e-mail you back to confirm I got them. Please email your image no later than May 13th. The image should be at least 1920x1080 in size or 26 inches wide or 15 high at 72 dpi. and no more than 1 MB. Please add your name only to the front of the image. Don't forget to visit our sponsors Cavalcade Color Lab, Martins Framing Gallery, North Art Supplies, Extreme Imaging. Get 15% off when you show your members card. The Muskoka Photography Club meets every third Wednesday of the month at the Raymond Hall. Hwy 141. Hall opens at 6:00 meeting starts at 7:00pm till 9:00pm. Directions: From Highway 11, exit onto Highway 141 West. Follow 141 through Utterson and continue to the stop sign. 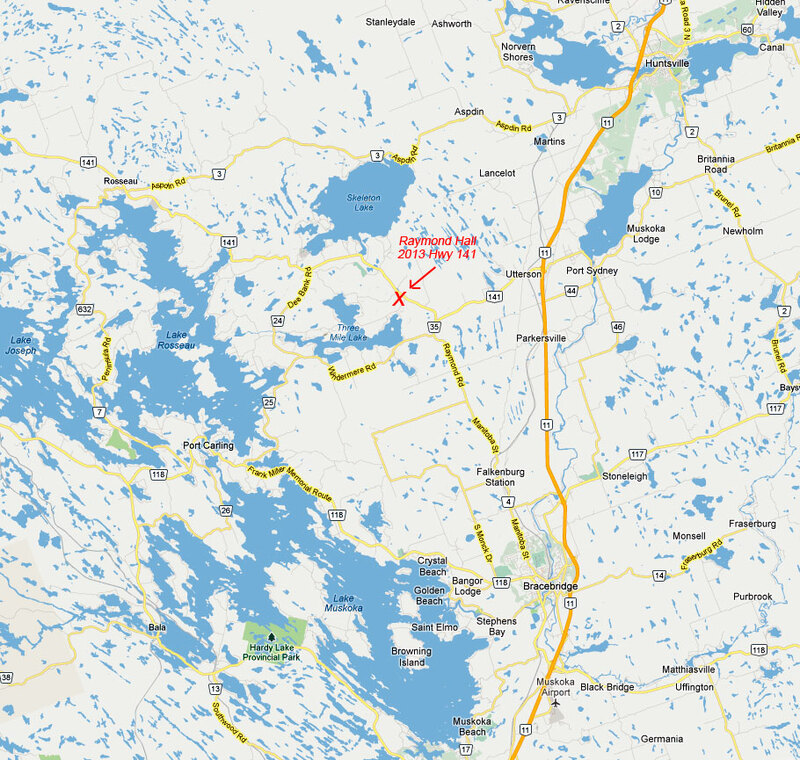 Turn right towards Rosseau. The Raymond Hall is in the Raymond Valley on your left. Click here for a map.